She stands in our minds now – as she did then – as a sparkling portrait of courage, of vigor, of love, of life in the face of unconquerable odds. Of grace under the grimness of circumstance. Her name was Julia Marlane Lyons – affectionately nicknamed “Jewels” – and she is the eponymous inspiration for the JWLS brand. The sister of JWLS founder Emily Lyons, Julia passed away in 2011 after a long, hard-fought battle with cystic fibrosis. She underwent double-lung transplants – twice – and countless hospital stays. And, finally, there was the incalculable loss – leaving an indelible void in the hearts and minds of many. Through it all, her beautiful, fairy-like, irresistible energy shone – and shone brightly. JWLS is one way we advance Julia’s laurels through the years ahead. The world at large may never suffer Julia’s sorrows. It may never know all her little joys and her precious moments and unspoken thoughts. It will never love all the things she loved – or fear the things she feared. But the world can fight back against cystic fibrosis, and so treasure her memory – and save innumerable lives so beautiful. 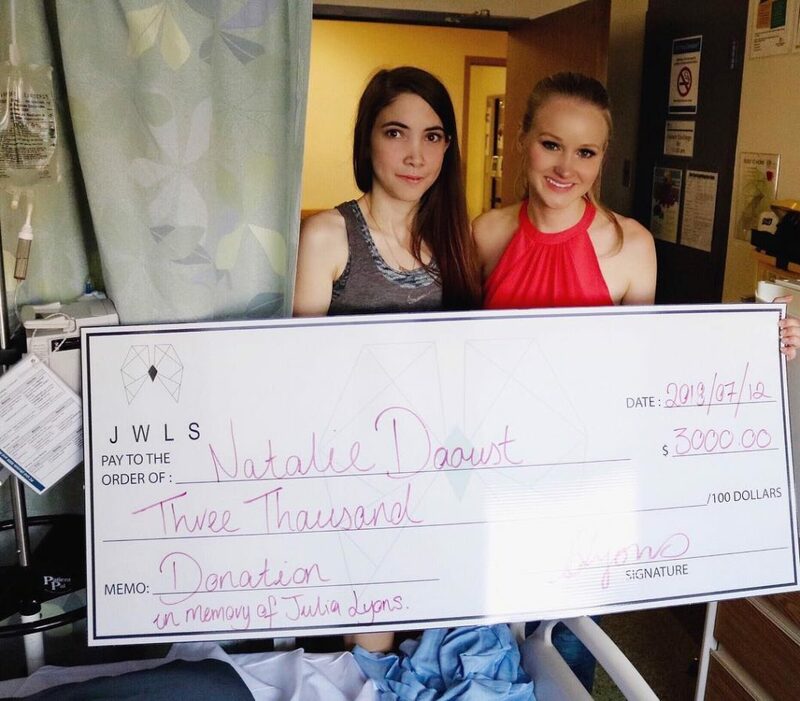 That’s why JWLS donates a portion of all proceeds to furthering research into curing cystic fibrosis – as well as supporting individuals (and their loved ones) who are currently struggling, smiling, crying, and loving through the disease. This is Julia’s spirit living on – in every watch – continuing to light up the world. This is more than fashion – more than something that looks good on your wrist. This is an expression of bravery and love and laughter – and feistiness and charisma and passion. Of everything that Julia was and will continue to be long after time stops ticking. Because this is fashion that takes action. A minimum of 100% of each and every JWLS purchase goes towards The Julia Lyons Foundation. Your purchase helps patients battling Cystic Fibrosis directly in the community. 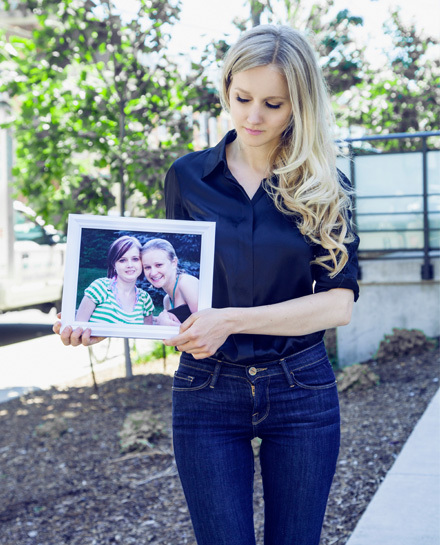 The Julia Lyons Foundation is driven by this mission: to lessen the hardships of people with CF, to lift up the CF community, and to proactively fight back against this disease – so that one day, no more tears will be shed over the devastating losses it inflicts. 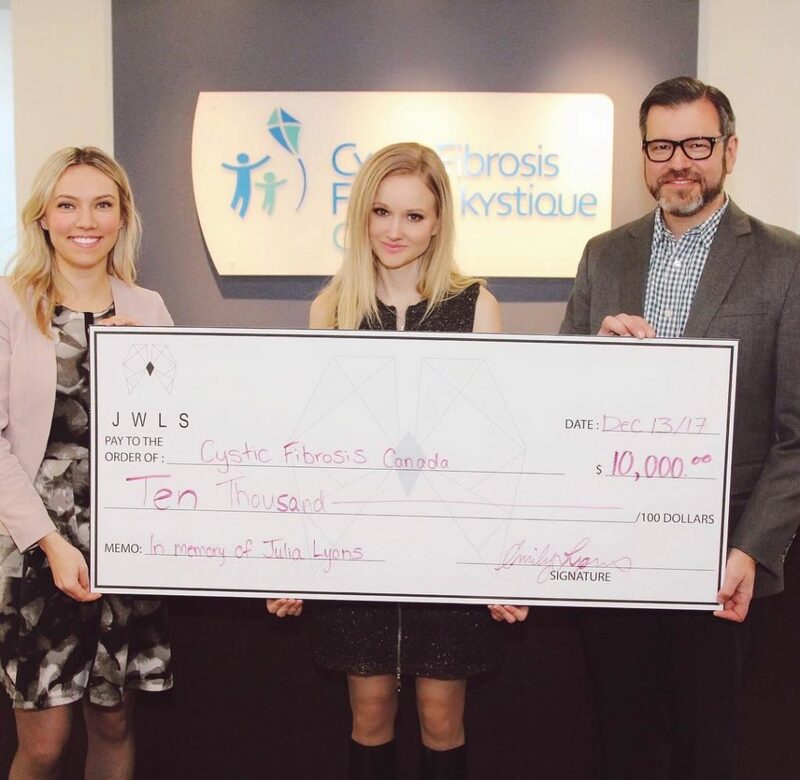 JWLS donating to The Cystic Fibrosis Foundation of Canada. For more information on Cystic Fibrosis, and how you can help directly, visit this page. To learn more about the foundation, please visit this page. Please sign your organ donation cards – and be sure your family knows your wishes.